It’s no secret the construction industry is suffering through a labor shortage. However, it continues to be an oddity that in an era of the lowest unemployment since the 1950s and an uptick in the economy that construction companies still can’t find enough workers. Earlier this year, we looked at how construction companies are struggling to fill six-figure salary jobs. According to a new report conducted by the Associated General Contractors of America and Autodesk, data show that 80 percent of construction companies responding to a poll are having a tough time filling hourly craft positions. Simonson goes back to a topic I first brought up in 2016: The labor trend won’t right itself until the social stigma of working in construction goes from being a “loser job” leaves and returns to being a highly respected trade skill. “The best way to encourage continued economic growth, make it easier to rebuild aging infrastructure and place more young adults into high-paying careers is to address construction workforce shortages,” Simonson said. Until that ship course corrects, construction companies are doing their best to make up for these shortages. According to Construction Dive, construction companies have increased benefits, pay, and training to attract more workers in this down labor market. While that may make for happier employees, that doesn’t do much for a company’s bottom line — especially since the study also shows companies are taking longer to complete projects and bid prices are more competitive because labor costs are rising. Based on this survey, Construction Dive made the case that technology can help bridge the labor gap until (hopefully) more young people start making their way back into the construction industry. According to the ACG/Autodesk study, 25 percent of the respondents said they were using more labor saving equipment (like 3D printers, laser-guided equipment, drones, or robots) to help replace workers or skills. Twenty-five percent also said they were using technology to help reduce onsite work time. Paper means more time, effort and errors for estimators. Using BIM technology helps streamline the process. One of the technologies mentioned in the survey question was BIM, or Building Information Modeling. In recent years, BIM 3D modeling has gone from a cool toy to a common tool among estimators. Autodesk happens to produce one of the top BIM tools in the business, Navisworks. By using 3D modeling, an estimator can take a digital rendering from an architect and gain vast amounts of data about the building’s structure. I once heard it said that business systems are great at producing data, but the key is having the ability to do something with that data. The “old fashioned” way of dealing with data from BIM is to rekey in the data from the BIM into the estimating software. As many people know, rekeying information from one system to another wastes time, effort, and brings in the potential for errors. It stands to reason that equally important to BIM is an automated solution to get the data from the 3D modeling program to the estimating tools. Luckily, Sage offers an automated tool to get the data from Navisworks into its takeoff solution with eTakeoff Bridge. Now you’ve got a program that uses 3D modeling to help produce data for estimating a project and a bridge program that transfers the data directly into a takeoff program. That’s less time and effort from the architects to gather data, and a complete job elimination of someone needing to input data into the takeoff program. We often say the key to improving efficiency in the construction industry is improving communication and data flow between the front office and the job site. But we’re not the only ones saying it. 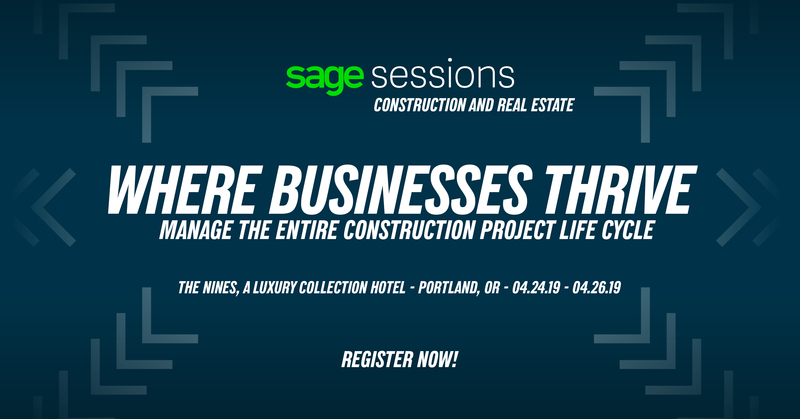 Sara Hodges, the senior director of the construction business line at Autodesk, said in a follow-up article technology enables connectivity between the two areas of a construction business like never before. It also is changing how information is collected and analyzed. Logically, it stands to reason that both sides of the equation need to have a grounding in technology. As many people are championing right now, like TV’s Mike Rowe and his mikeroweWORKS Foundation, skilled labor jobs in the construction industry were never “loser jobs.” It’s just that about 40 years ago, some ivory-tower intellectuals got that notion in their heads. And now that technology on the job site as well as the front office, a person with a STEM education can find a six-figure salary while working on-site.